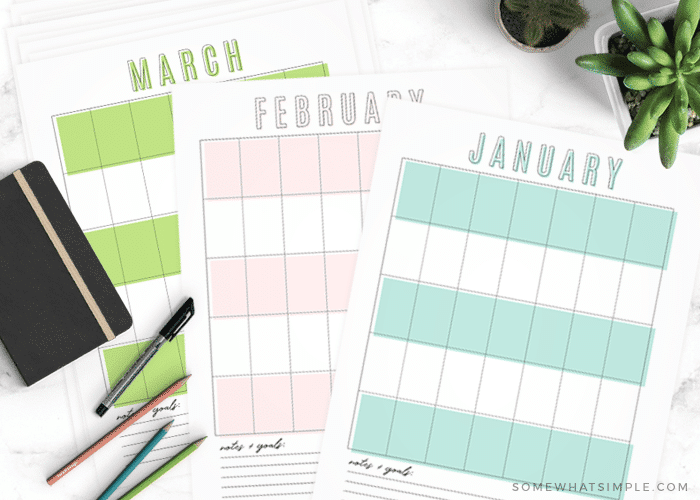 Time to kick off the new year with a fresh start and new printable calendar! 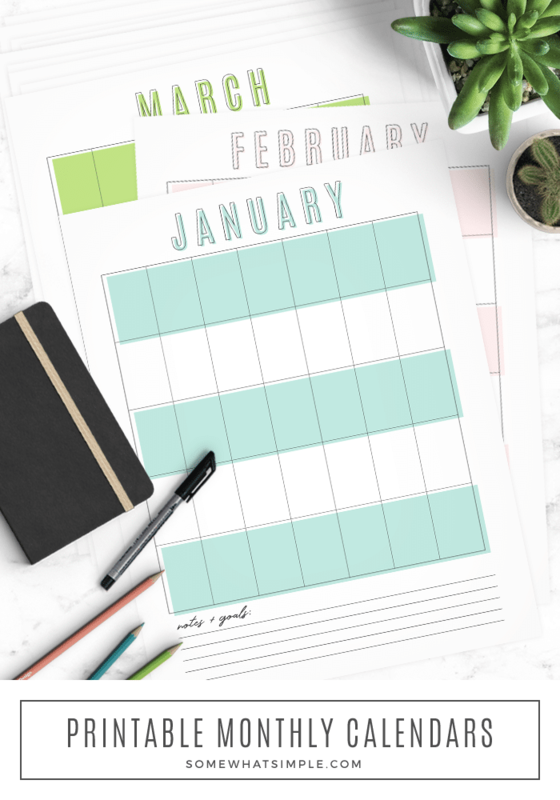 Our free calendar template has a simple design that fits perfectly in a notebook, so you can start off the new year fashionably organized! Now that Christmas is over, I’ve got my sights on the new year with organization goals in mind! 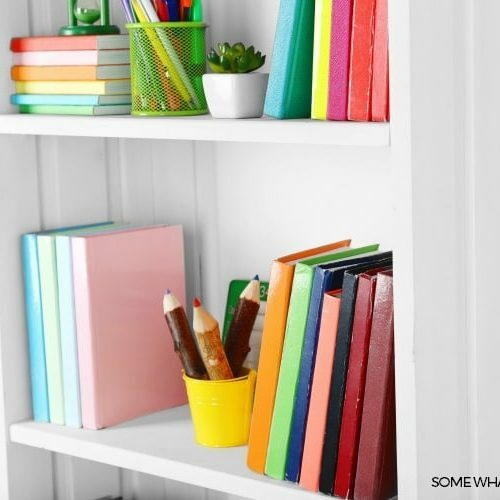 If you’re looking for ways to get organized this year, we’ve got you covered! We have a HUGE Family Calendar, some helpful Home Management Binder printables + tips on how to make a Family Command Center that are sure to help! 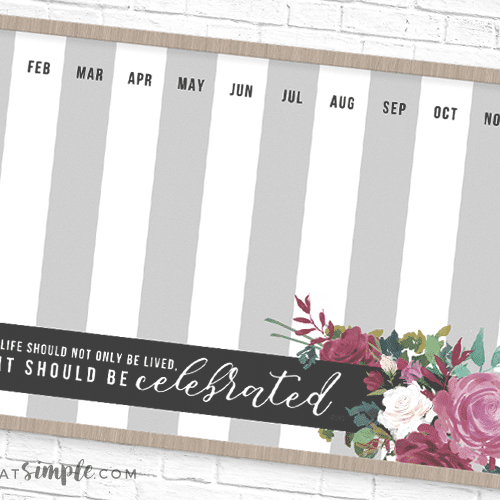 This free calendar template is a new printable we made that I am so excited to put to good use! It’s the beginning of a new year and with that comes the opportunity of a fresh start! Get back into your daily routine and stay organized with this handy little calendar as your sidekick! Finding a calendar in a vertical format the fits nicely in a 3-ring binder is sometimes hard to find! 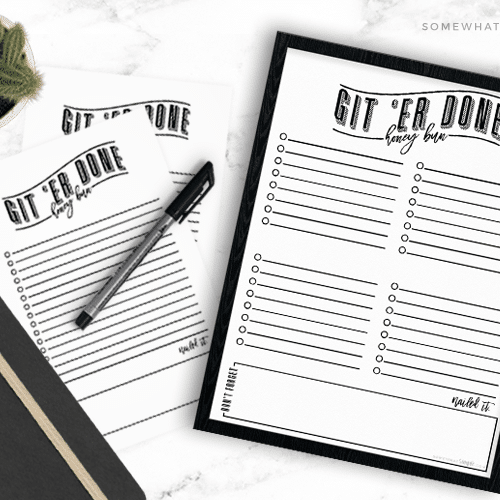 I don’t like having to flip my entire notebook around to see events and write down appointments, so we created this calendar with that in mind, and I seriously love it! We made this calendar template into a free PDF, so if you’re looking for the perfect calendar printable to use this year, we’ve got you covered! We love these simple calendars, and hope you enjoy them as well! Please note: As with all free printables on Somewhat Simple, our calendar printables are for personal use only. No part of this printable calendar may be recreated and/or sold digitally or physically. Please do not claim it as your own. Thanks for understanding! I’ve tried putting in my email twice and I haven’t received an email to download it, any suggestions?